The Topkapi palace in Istanbul keeps scrolls on which girih tiles are drawn. Below the five types of tiles are colored. On the drawing we can clearly see how patterns on a different scale fit with each other. We also see two patterns of girig tiles. 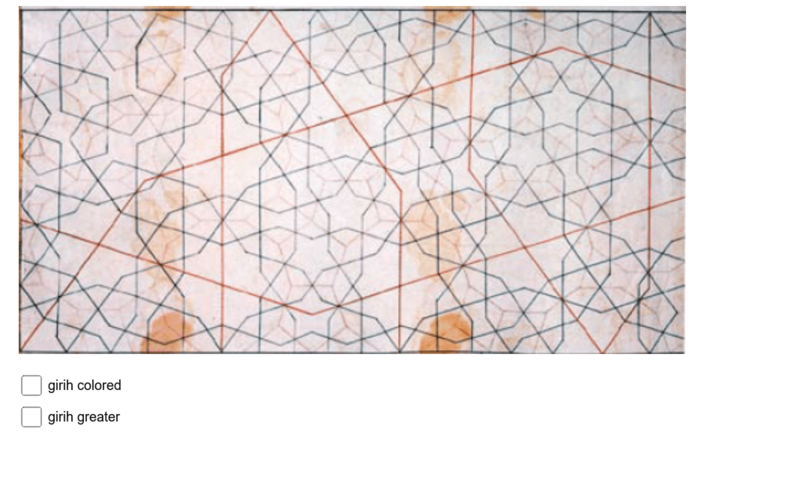 The grey lines match with a girih pattern and their decorative lines. The red lines match with a pattern of much greater girih tiles. In followingapplet you can lay the tiles of both scales on the original drawing.